Several factors, including efficacy, energy use, transportation and weight, should be considered along with material choice to determine the environmental footprint of an item. Upon evaluation of the entire life cycle of a product - plastics are often times the more sustainable choice. Polyfoam offers a number of services to our customers, all designed to save them time and resources. Custom engineering services, stress testing, thermal testing, fulfillment & packout, and warehousing are all part of the Polyfoam service offering. Polyfoam puts together a team of engineers on every project, whether it be for design work alone or design, testing and manufacturing. Together, the team has a vast amount of experience in engineering solutions for thousands of products. In meeting each challenge, they follow an in-depth process to find the best, most cost-effective solution. Whether evaluating an existing package or designing a new one, Polyfoam is your full service partner. We have the resources and experience to engineer and manufacture a product that fits your needs and your budget. 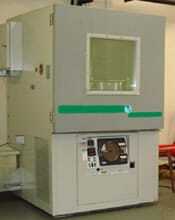 Polyfoam offers complete testing services for your product and its package. Our goal is to help you ensure that your package is cost-effective and provides the performance you require, and to reduce the time to market. Whether evaluating an existing package or designing a new one, we have the resources and experience to help you determine if your requirements are being met. Shock data collection and analysis. Polyfoam’s lab is certified by the International Safe Transit Association (ISTA). Polyfoam has ISTA-certified lab technicians on staff, and our entire engineering/testing team can quickly analyze data and recommend or design package changes for quick turnaround. We offer comprehensive state-of-the-art temperature controlled package evaluation, design and testing services. Our goal is to support your cold chain programs. Whether auditing an existing package for thermal compliance or designing a new package, let Polyfoam be your full service partner. We can help you develop the most effective package solutions. Our extensive knowledge and capabilities are based on years of manufacturing top quality insulated containers. We know how to design and build a thermal package that fits your needs and budget. 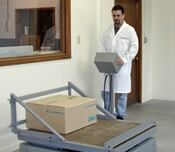 We offer fulfillment and pack-out services to our customers in order to save them time and resources. We can assemble any number of items into a single ready-to-use kit. Whether combining pieces with one of our existing stock products for an off the shelf solution, or marrying them with a custom item, our customers take full advantage of our cost-effective pack-out capabilities to meet their goals. Polyfoam assists many of our customers with their just-in-time needs through both manufacturing flexibility and extensive warehouse space throughout our locations.